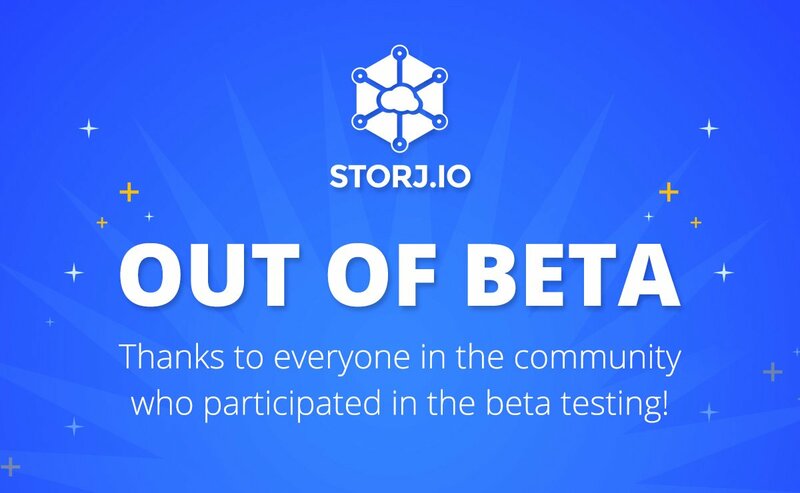 Storj is a Blockchain-based encrypted cloud storage service that we’ve been keeping an eye on since the earlier beta days and while it is still in Beta we are checking how things are progressing from time to time. 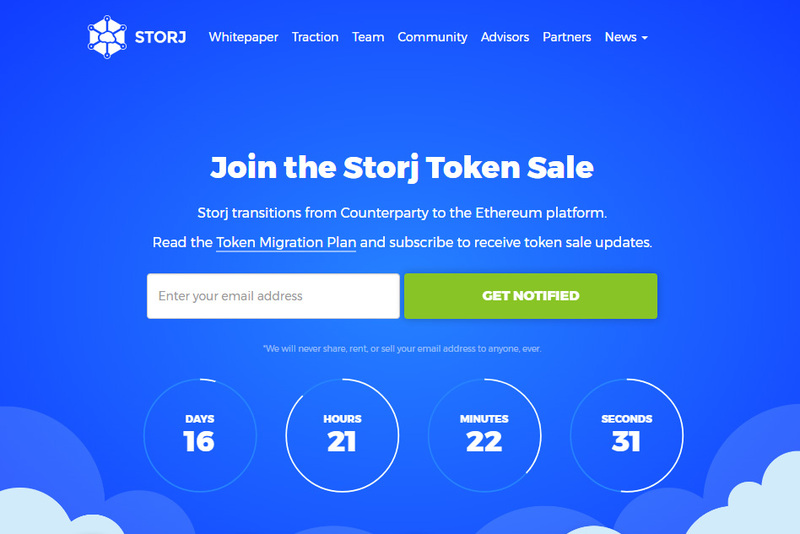 Running the Storj Share application for providing your free hard drive space for rent and earning some SJCX tokens in return is what still most people are probably interested in. That is precisely why we’ve setup a test 100GB shared space on the Storj network to see what we can expect to get after a month and more importantly if we are even going to be able to fill in that space with data. When you register on Storj as a user willing to store some data on the network you get 25GB for free for the first 12 months, so no need to pay anything up front if you are interested in checking out the service. 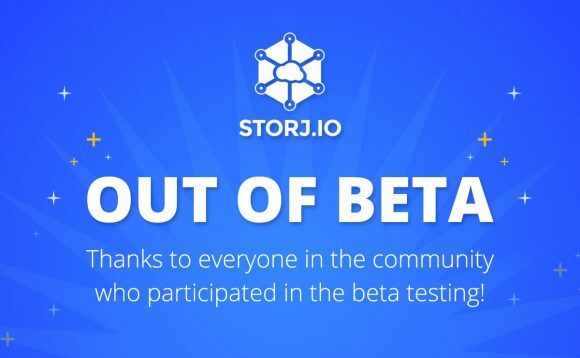 The problem here is that unlike the Storj Share app when you want to upload and then access some data it is not as easy as you might expect, this needs some more work making a user friendly and easy to use interface for regular users and not giving some tools that might appeal only to developers at this point. Not being very easy to upload and access data of course affects the number of users of the service that what to use the storage functionality and thus after a whole month with 99%+ uptime our test has shown not so good results. 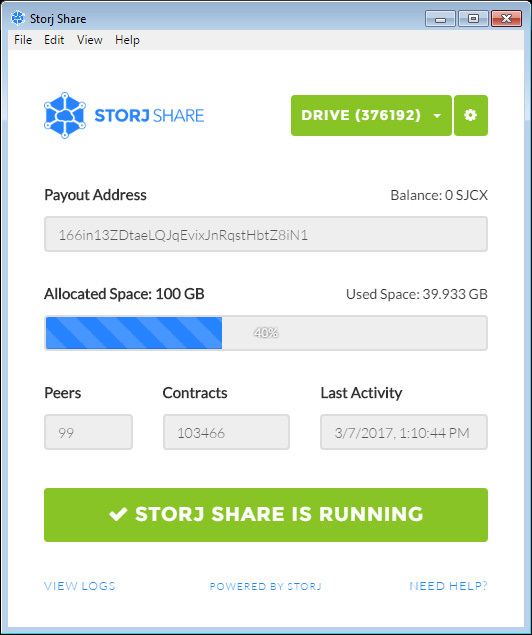 Out of the 100GB of space we have provided to the Storj Share we have managed to get less than 40 filled with over 100000 contracts. With a price set at $0.015 USD for GB / month and $0.05 USD per GB by the Storj service for users willing to store data on their network you would need to be sharing much more space and having it actually used to make the numbers look good if you want to rent out your free space.